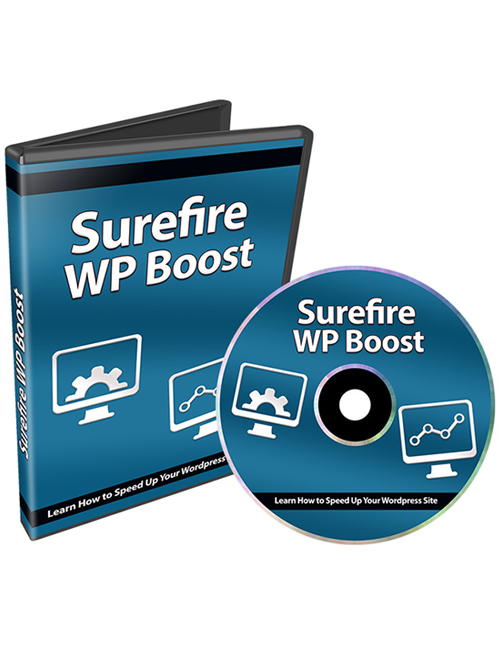 Surefire WP Boost – Learn How To Speed Up Your WordPress Site is a 9 part video series that explains and shows the technical side and practical side in both understanding and achieving a lightning fast website so that your returning users and new users will have a much better and faster experience on your site. It’s more and more important these days to be able to provide people with what they want and provide it to them quickly. People are fickle and they want things immediately. That’s why it’s most important that you site isn’t stalling and is delivering the content they’re looking for as soon as possible. By not doing so, you risk missing out on a potential customer which is a win for your competitor. Even more importantly, Google rewards the fastest loading sites with better rankings. Across this 9 part video series, you will understand the advantages of quick loading sites, how to identify the issues with your own site, how to rid your site of clutter to improve the speed process, analyzing your hosting’s speed, optimizing your images, protecting your site from parasites, the power of content delivery networks and much more. A fast loading site is a crucial step in your business success and your customers will love you for it. This video course is a must grab if you’re serious about your website so get it right now.